From the damage it causes to your hair, to the correct aftercare and treatment, some of the most common hair dye myths have been debunked by the experts at Hairtrade.com to help your customers better understand how to use dyes and look after their coloured hair. On the contrary, the product deposit on your hair gives the appearance of a thicker hair shaft and there an illusion of denserhair. Bleaching, however, does reduce your hair volume so give it a miss if you have fine hair. Dying hair can damage it a little in the sense that it opens up the hair cuticle to allow the colour to deposit. However, this is nothing that can’t be reversed. Professional or home remedy style oil massages, hair spas and damage repairing treatments can restore hair to its original condition. Semi-permanent colour or a gloss formula can actually condition locks and be quite good for it. As only a tiny amount of hair dye is absorbed by the skin when applying it to your head, hair dyes are actually perfectly safe to use when pregnant. However, semi-permanent dyes and highlights might make better sense for pregnant women, as the ammonia in permanent dyes can trigger nausea. Hair colour contains chemicals so it’s actually wiser to dye hair that has been washed around 24-48 hours before, instead of right before you apply the dye. 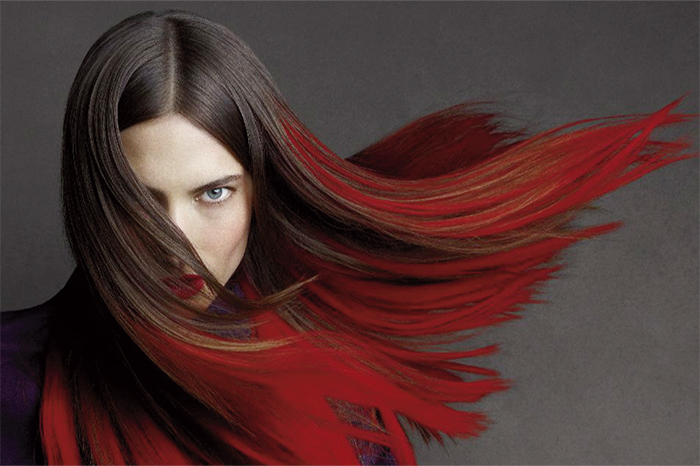 The natural oils that build up in the scalp will help to protect it from the chemicals in the dye. However, hair also needs to be free of any built-up product so customers should try not to use anything in their hair on the lead up to dying it. Customers need to allow the colour some time to sink into the cuticle, so they should shampoo their locks only 24-48 hours post colour to make it last longer. This way, they can avoid more frequent touch ups. Dying hair once doesn’t mean it can never return to its natural colour again. Bleaching can cause a slight loss in hair pigment which may lead to premature greying, but besides this, if good quality hair colours are used, customers won’t be dependent on them for their entire life! Coloured hair can be straightened and curled as long as a heat protectant product is used beforehand.